Do the Hong Kong Immigration Department expect every foreign national employee of Hong Kong registered companies to have employment visas even if they have never worked (or never will work) in the HKSAR? Is there any problem with a Hong Kong registered company employing someone currently resident in Malaysia for a role supporting one of our clients offices in Malaysia? I don’t think a Hong Kong employment visa is required because he won’t work here and in the short term at least he can work in Malaysia on a visitor visa as long as he is employed offshore. I possess an APEC travel card – will it tangibly assist me in my Hong Kong investment visa application? Hong Kong employment visa holder – which is better, join in a side business first or go for full investment visa permissions directly? 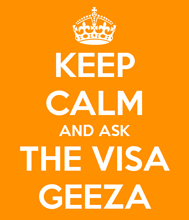 Getting professional help with your Hong Kong visa application on the cheap! Reloacting to Hong Kong for work or business – the last 20 years!